When speaking or giving a live presentation you have an opportunity to brand yourself to an entire audience. I see many lost opportunities when it comes to branding in person so I want to offer you three ways you may not have considered before. These extend beyond the standard PowerPoint presentation or retractable banner at the front of the room. These subtle cues are a great way to reinforce the brand without seeming extravagant while at the same time providing memorability and keeping you on track. 1. Use branded Note Cards. When you speak before a crowd do you use index cards? 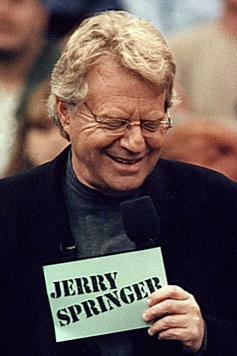 Instead of those, create your own branded note cards, the same type that talk show hosts like Jerry Springer would use. Use 5×7 card stock, and on one side print your logo. On the opposite side print your speaking notes. As you refer to your notes it becomes less of a distraction and more connected to your presentation. We’re accustomed to distributing handouts, binders and outlines in order to support our speeches, but recently I stumbled upon what has become one of the most effective ways to have your audience “take you with them.” Instead of (or in addition to) passing out the typical workshop handouts create a wallet sized “cheat sheet” that attendees can put in their wallet and refer to as needed. Be sure your copyright and website are listed in the footer to remind them that you provided this valuable resource. I stumbled upon this for a presentation once where I had to print out the highlighted takeaways for the audience. I mistakenly printed the outline 4-per-page, and so each sheet of paper had 4 outlines on it. I didn’t have time to reprint so I just cut them and handed them out. The audience loved the portable design, and I had a new method! Wear clothing that supports your brand color scheme. If your colors are purple and white, tie a purple scarf around your neck, or wear a purple bracelet. It may not always be appropriate to dress completely in your brand’s colors (such us if your colors are lime green and neon blue) but you can infuse “hints” of your brand in very clever ways. I think these brand cues can work in front of small and large audiences, and they’re really easy to do. What subtle cues have you used to brand yourself in a room or at an event? What great ideas to get your brand out there when speaking publicly. I don’t speak publicly often but I really like the idea of the wallet sized handouts and incorporating your brand colors into your outfit. Great tips and thanks for sharing. I think there is a way for me to incoporate the outfit idea into my scrapbooking videos! !